Achieve universal access to safe and quality Reproductive Health/Family Planning services. To increase Contraceptive Prevalence Rate from 28.1 % to 37 %. Decrease fertility level from 3.9 to 3.3 births per woman. To reduce unmet need for FP from 30 % to 10 %. 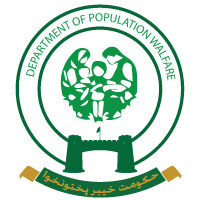 Reduce Population Growth Rate from 2.05 % to 1.8 % per annum. Raise contraceptive prevalence rate from 28.1 % to 50 % by 2030. Attain replacement fertility level (2.1 births per woman) by 2035. Reduce Annual Population Growth Rate from 2.05 % to 1.3 % by the year 2035.